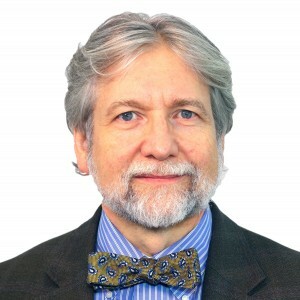 Dr. Robert Wisner-Carlson is the service chief of the Intellectual Disabilities and Autism Unit at Sheppard Pratt, directs the Developmental Neuropsychiatry Clinic in the Neuropsychiatry Program, and chairs the Ethics Committee. 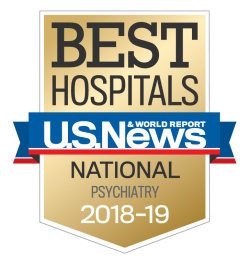 A graduate of University of Michigan Medical School, Dr. Robert Wisner-Carlson trained in psychiatry at The Henry Phipps Psychiatric Clinic at Johns Hopkins Hospital and at The Maudsley Hospital in London. He holds a specialty certification in Behavioral Neurology and Neuropsychiatry from the United Council for Neurologic Subspecialties. His areas of scholarly interest include comorbid behavioral and neuropsychiatric problems in individuals with intellectual disability and autism spectrum disorder (ASD), the young adult transition in ASD, and genetic disorders in developmental neuropsychiatry. He is also interested in the philosophy of psychiatry. He is currently the clinical investigator for the SPL Neurodevelopmental Disorder / Autism registry. Dr. Wisner-Carlson came to work at Sheppard Pratt in 1990 and created the first Crisis Stabilization Unit, which became a model for short-stay psychiatric care in the managed care era. Since then, he has held numerous leadership positions, including acting clinical director at Clifton T. Perkins Hospital in Jessup, Maryland. He returned to Sheppard Pratt in 2007 to open the first Adult Neuropsychiatry inpatient unit for the health system. He is double board-certified in general psychiatry and neuropsychiatry.